When I first started learning about hand embroidery, I struggled to find resources, online and in print, that appealed to me. I didn’t want to spend time learning 30 plus stitches, and I didn’t want to create cheesy, kitsch tea towels with those same stitches. So, I did what any artist does—I warped the idea of the medium from something complicated to something simple, by creating more with less. I taught myself just a handful of the easiest stitches I could find and used them to create a wide variety of embroidery, specifically all things floral, which has been my passion ever since I was a kid and wanted to grow up to be a florist. Hand Embroidery Stitches and Projects for Flowers, Leaves and Foliage. Photos courtesy of F&W Media International, Ltd 2018. In the end, I wanted a modern twist to the medium and, surprisingly enough, so did the rest of the world. Not long after sharing my work with others, Gulush Threads was born. My unique passion became my full-time job, and it wasn’t long before I wanted to share that passion with the rest of the world. Six years later, I’ve done just that by writing my first book, 200 Embroidered Flowers. This beautiful floral hand-embroidery resource teaches the techniques I love and cherish while highlighting my favorite things in the world—flowers, plants, and all things in-between! I spent an entire year researching flowers, dreaming of which stitches and colors would work best for each individual piece, and then, painstakingly, developing the world’s biggest callouses from stitching them all! 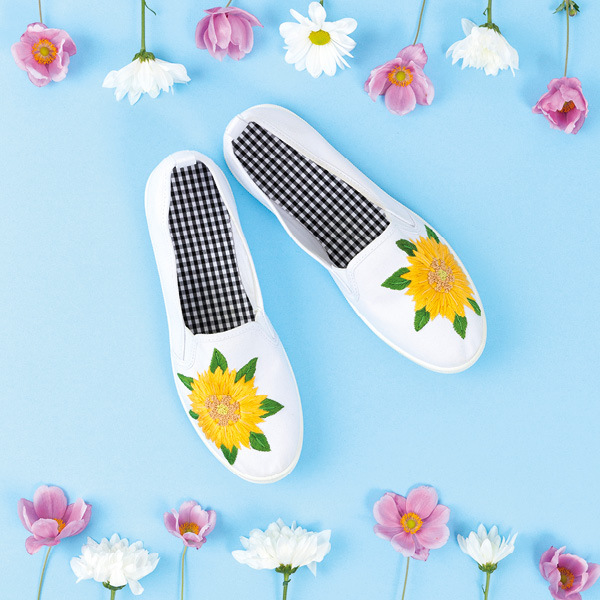 Brighten up canvas shoes with stunning stitched sunflowers. Your only limitation? Your imagination. 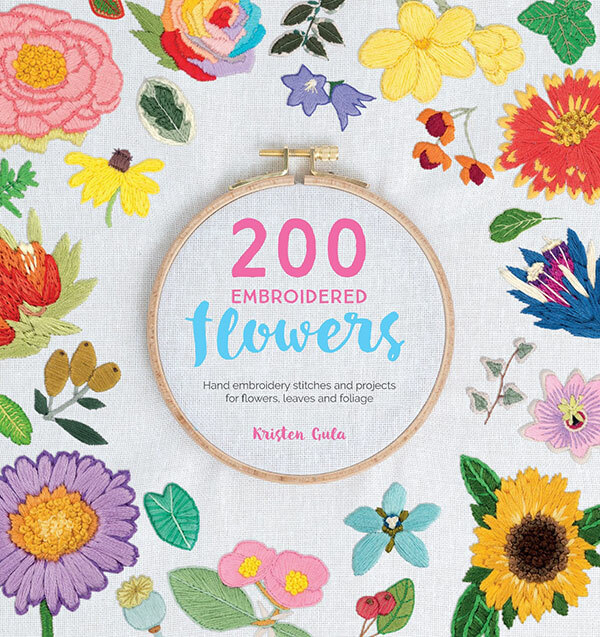 Order your copy of 200 Embroidered Flowers today! 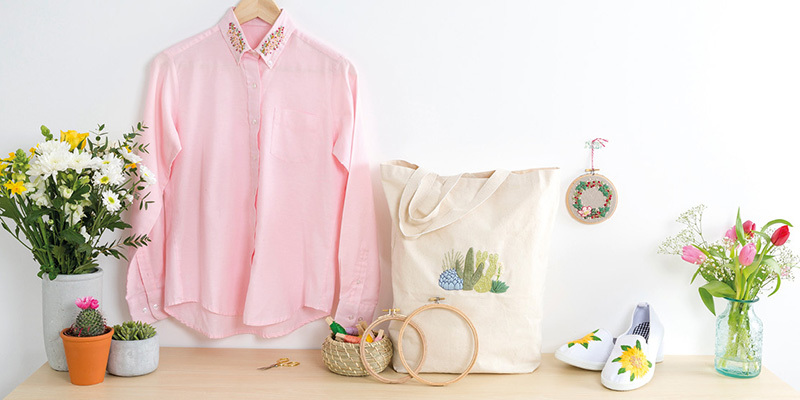 Plus, learn more embroidery stitches in our A Stitch in Time blog post series. Featured Image: Embellish clothes and accessories with floral stitchery designs. Discover more embroidery books from PieceWork!